Bokashi! No it’s not a weird Japanese game show, although it was created by Japanese Professor Dr. Teruo Higa. 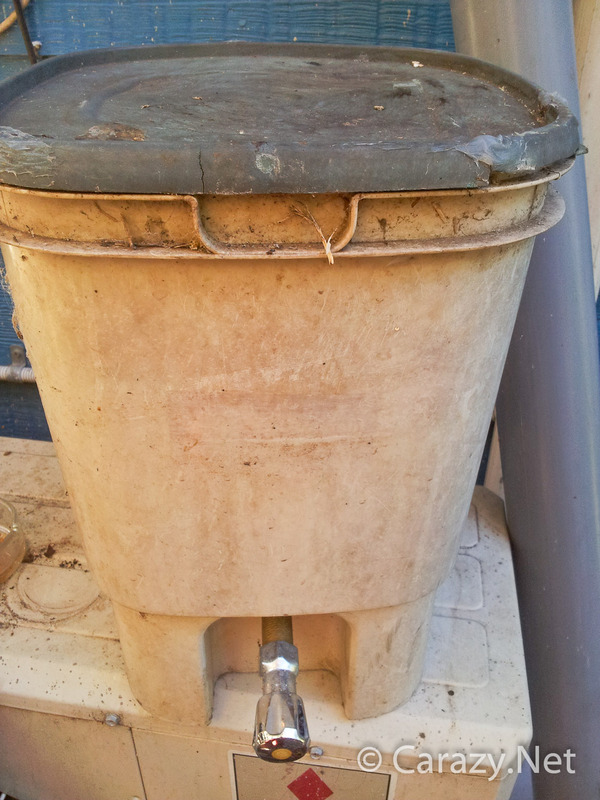 Bokashi is the fermentation composting of kitchen waste in an anaerobic bin. 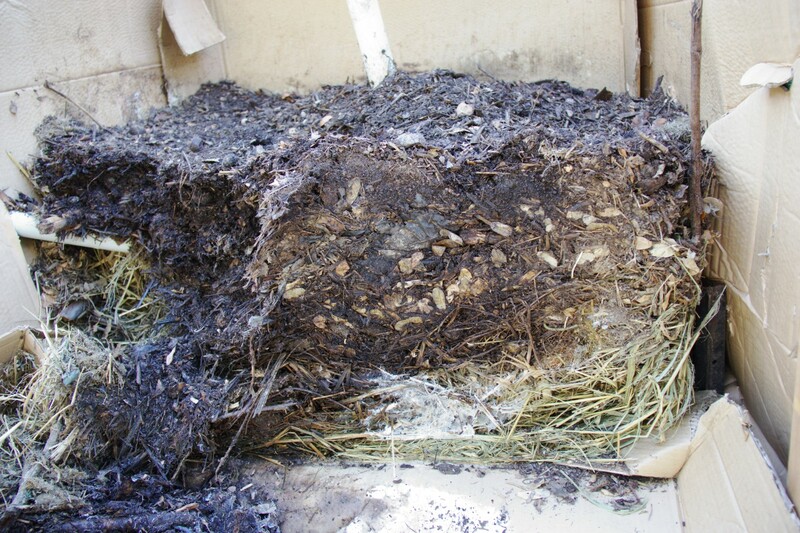 Normally anaerobic breakdown of material involves putrefying which means the horrible rotting stench of decomposition. I had read about Bokashi composting and liked the idea but was put off by the idea of the expensive little bin (~$130 at the time) and the need to continually buy their special EM (Essential/Effective Microbes) powder. You essentially put kitchen waste in the bin and sprinkle the special EM powder over the waste to inoculate it with the microbes. Then seal the bin shut from air. Each time you add a thick layer of scraps you add the EM powder. It’s so efficient you can even compost meat and fat in there! Pretty much any solid kitchen waste except bones. The leachate juice is an amazing concentrated fertiliser that you dilute with water and feed to your plants. The juice is also a great drain cleaner as the bacteria will feast on the food goop you’ve let slip down the kitchen sink. 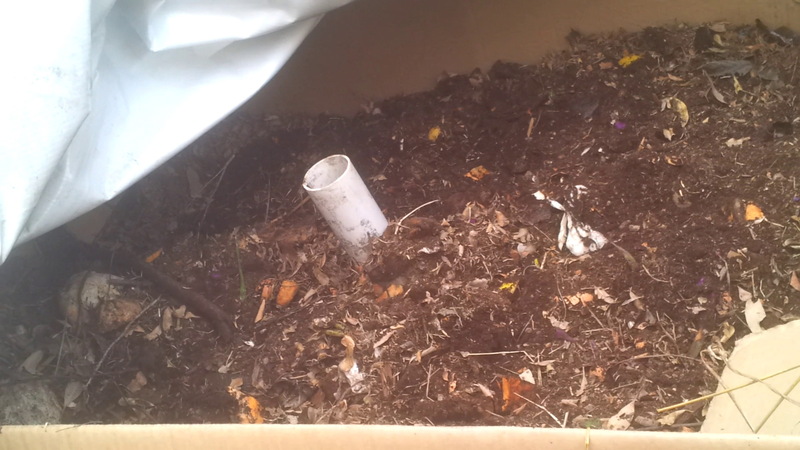 Once the bin is full, the fermented waste can be buried in the ground where the bacteria continue their work. They rapidly breaking down the organic matter faster than would normally happen. The bokashi waste can also be fed to worms so can complement vermiposting. In January 2012 I got really lucky and happened to pick up a Bokashi bin on freecycle for the amazing price of zero dollars. The lid needed a little silicone and the tap wasn’t very well built but it was a jump start into a whole new world that I would otherwise have put off doing. It doesn’t look very pretty but it was free and it’s been sitting outside my kitchen door fermenting for me for two and a half years, with more to go. With bin in hand and kitchen waste available, all I needed was my EM inoculant. Even making it from EM concentrate would be fairly expensive long term, but persevere in your research and eventually you find the answer. I initially made my home made EM powder using Method 1 here, but over time have developed an infinitely easier way. 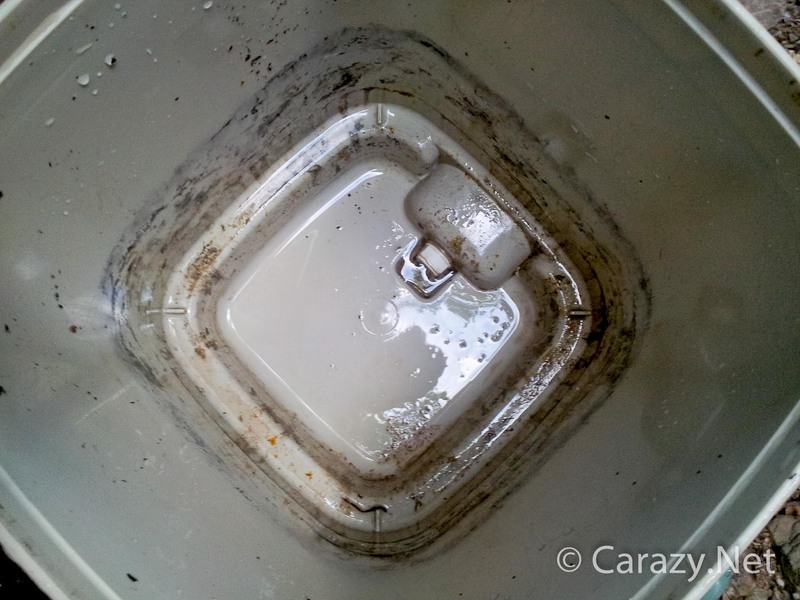 This is what the bokashi bin looks like inside with the strainer removed. The low area below the lip is where the excess juice drains to. The white nut holds the tap in place. My apologies about the delay. I work on these projects alone so sometimes the videos I do take that little bit longer to be edited and uploaded. This time I’ve been downright neglectful! A few people have been messaging me from different places around the world asking about the results, enough to make me realise that it would actually be quicker getting the video up rather than replying individually. See polite queries do work! I decided to open the compost bin up after 40 days. There was no reason for this figure other than it was a nice round number and I was in dire need of compost so that I could put in the remaining fruit trees. This is just a reference pic showing how high the compost bin was filled. It’s almost to the top of the upright air pipe. Here you can see the cross section of the outer skin with the layers of grass, leaves and sugar cane. It was pretty dry around the extremities, most likely due to absorption of moisture into the cardboard which would then evaporate out. There was a white fungal bloom all around the pile.